Circa 1914 from Philadelphia Toboggan Company from the Bud Hurlbut collection. 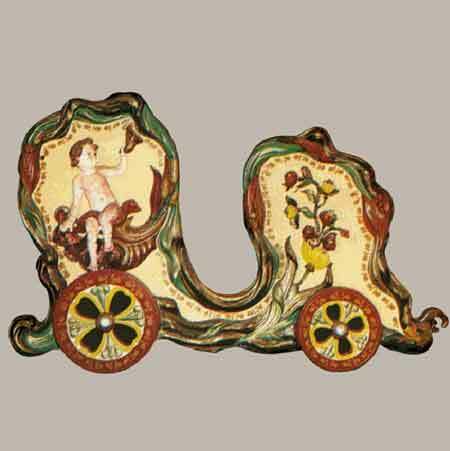 A rare complete chariot from Lakeside Park, Dayton, Ohio; then at Lake Russell's Point, OH. Swirling foliate carving surrounds the cherub and floral carving decorating the chariot side. 84 long x 53 high. Nice park paint.